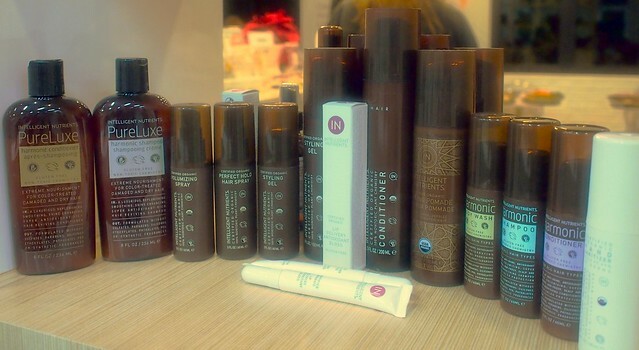 my LIFE INC held an introductory session for bloggers, showcasing their range of products. Here are some of those which caught our attention at the event. my LIFE INC has a series of quality organic personal care products by Intelligent Nutrients. Intelligent Nutrients is the highest rated natural and organic brand, getting a 9.5 out of 10, in the UK’s Organic Monitor, which ranks brands according to their naturalness. The rule of thumb is that you absorb much of what you put on your skin, so if it’s good enough to go on your body, it’s good enough to go in your body. And if you wouldn’t put it in your mouth, then you shouldn’t put it on your body. Brew prefect tea for the soul. TEAISM combines heritage and innovation to deliver the most fragrant brew. 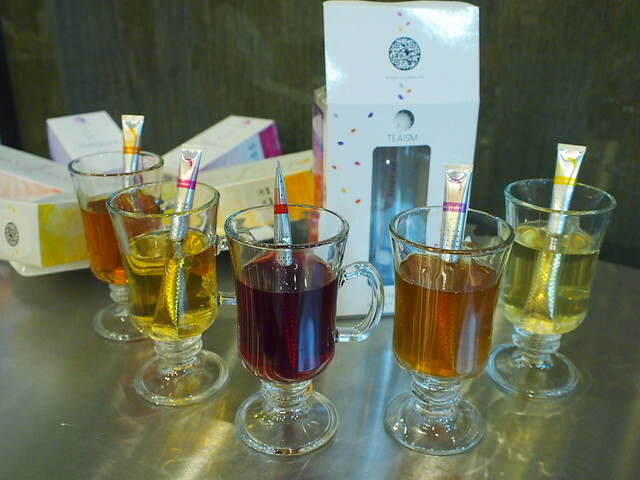 TEAISM teas come in pencil-shaped, disposable, high-tech tea wands, eliminating the need for bags or teaspoons. Each disposable wand contains high-grade tea leaves and is made of FDA-approved aluminum foil. It’s the most convenient way to achieve the same taste you would derive from high quality loose leaf teas. 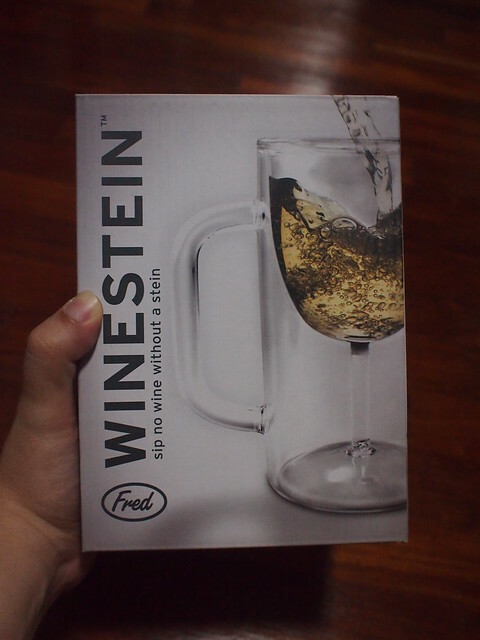 This is the first I’ve seen in the market. 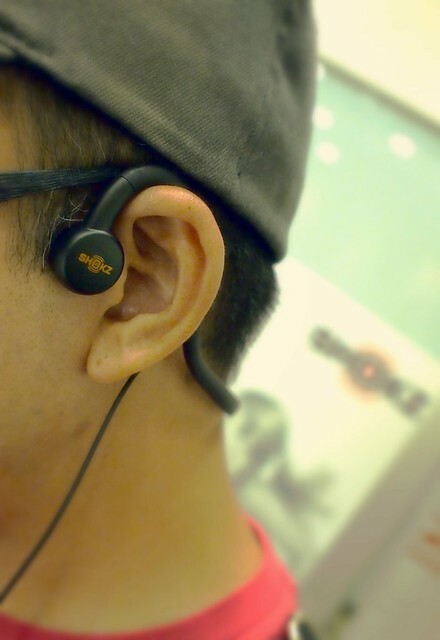 Super cool bone conduction technology headphones. These come in wireless bluetooth model too. AfterShokz brings patent-pending bone conduction technology, initially developed for military special operations and law enforcement by Voxtech in 2001, to everyday sport, mobile and gaming headphones. AfterShokz offers consumers a more comfortable, healthy and safe listening experience with ear-free headphones. Unlike conventional headphones and ear buds that use the eardrums to transmit sound, AfterShokz transmits sound through the listener’s cheekbones to the inner ear, bypassing the eardrum completely. 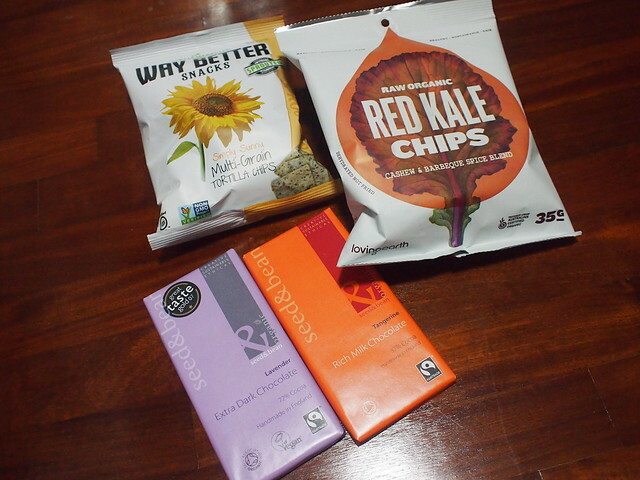 With most of their healthy snacks on samples, we couldn’t help but try every single one of them. They were all so yummy we’d forgotten to take photos of them at the event. Here are some we got in our goodie bags. We love the tortilla chips by Way Better Snacks – Every chip is filled with healthy power—they have unlocked the nutrients found in perfect, unprocessed ingredients. So these deliciously sprouted chips are actually nutritious and tasty. Sprouting grains give the chips more antioxidants, vitamins and minerals, plus they’re easier to digest. [box type=”2″]my LIFE INC. is the trusted lifestyle destination. We personally curate and bring you the best products from around the world. We would only recommend products that we personally love and would use on ourselves, our kids and even our pets! At my LIFE INC, we believe that success is a mindset. The decisions you make today create the opportunities for tomorrow. Decide to know more. Decide to do more. Decide to be better. Earn what you deserve. If you’re waiting for a sign, this is it. my LIFE INC.
I’m giving away all these prizes (worth more than $50) to ONE lucky winner. the search for N begins!! !